The word “archangel” means: the greatest messenger of God, and the name Michael means: “he who is like God”. Combine the two and Archangel Michael means: “the greatest messenger who is like God”. He is very powerful and is known to protect, guide and heal people. The colours connected to Michael are dark blue and purple. Many people see him as a blond Norwegian looking being, I see him similarly, yet with black hair, blue eyes and huge wings. He is my personal Guardian Angel and the connection I have with him is huge. 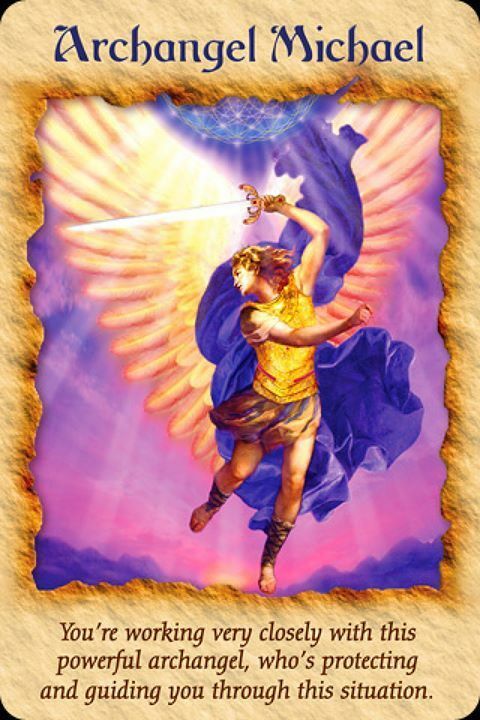 When I had a reading done years ago, I was told what I already knew, that I am also a part of Archangel Michael’s Army of Light and that there are many of us on earth at this time to assist the planet in raising to a higher consciousness. If you need Michael’s help, you can ask for it by silently calling his name and asking for help. It really is that easy. If you need to call him in quickly, say “Archangel Michael, help!” 3 times and he will be there instantaneously. Please know that the angels hear a mothers prayer for her child louder than any other. If you are a parent and are worried about your child for any reason, call upon the angels for help. Think of the mothers that get “super-human strength” for a few moments to free a child from under a car. Angel help is that powerful! You can surround yourself with a white bubble of light (do this in your minds eye) and then thank AA Michael for helping to keep you safe and protected when you have to go into an unpleasant situation. I do this when I have to be near people that I am not totally comfortable with, or when I feel scared for any reason. Please do not be shy to ask for his help! Because he is of the etheric realm he can be in many places at once so you are never bothering him, ever. He WANTS to help! It should be noted that he does not want to be worshipped in any way and that he gives all glory to God. There are some wonderful stories of peoples experiences with Michael, and my favourite is about a girl walking down an alleyway late one night. She was feeling uneasy when she saw two men approaching from a distance. She called “Archangel Michael, help me!” 3 times and kept walking. As the men approached, they barely looked at her and passed by without incident. Now, I cannot verify the truth of this story or find the girl it happened to, BUT, I really do love this story because to me it is a very clear example of how the angels can and do show up if you ask and allow. There is no doubt in my mind that angels can make themselves appear as people when need be. But more often than not you will not see them and have to trust that they are there. Sometimes after a situation that turned out better than expected, you think back and realize that it must have been the angels help. The important thing is to believe and have faith. Miracles happen everyday and angels are all around us. 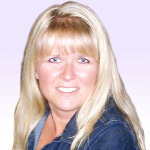 I welcome you to share YOUR angel story with me by leaving a comment below. I believe in angels, do you? This entry was posted in Angel, Cards and Divination, Psychics, Religion, Sprituality on August 11, 2014 by Sarah B.